HCS faculty member, Dr. Katrina Cornish, created medical gloves that protects doctors and scientists from radiation and pathogens while not triggering allergic reactions. 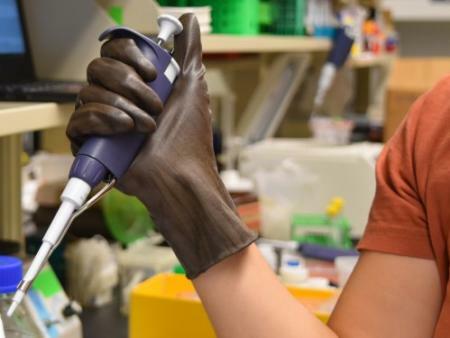 “Wearing two different gloves on each hand is like doing surgery in boxing gloves,” said Katrina Cornish, an Ohio Research Scholar and holder of the Endowed Chair in Bio-based Emergent Materials at the College of Food, Agricultural, and Environmental Sciences (CFAES). The awkwardness of wearing two different gloves leads some medical professionals to use only one set of gloves. “Then they’re putting themselves at risk,” Cornish said. Dr. Cornish's new gloves provides the safety needed for professional to successfully do their jobs. Read more about this innovative creation here.